You may recognize this week’s winner: Andie was the 2012 Fabric8 contest champion! From fashion to fabric design, she can do it all. 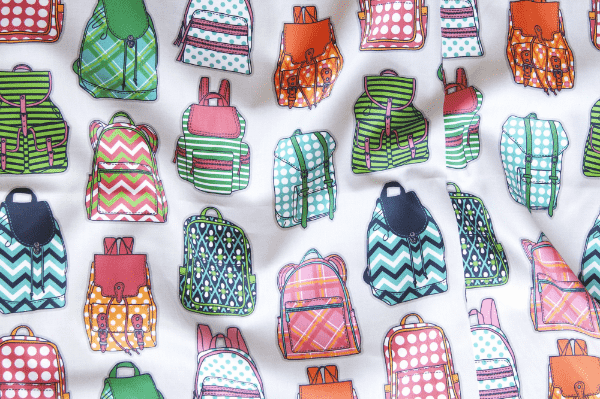 You chose her brightly patterned backpack fabric to top this week’s contest. Don’t miss the rest of our super smart designs!